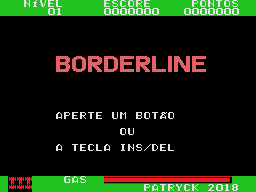 Borderline is an action shoot ‘em up game for the SG-1000. This is a complete Brazilian Portuguese translation. 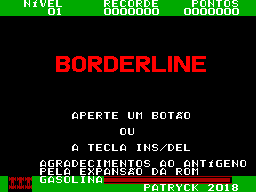 Only the title logo is kept as is, and the ROM was expanded for the extra text that appears on the game.